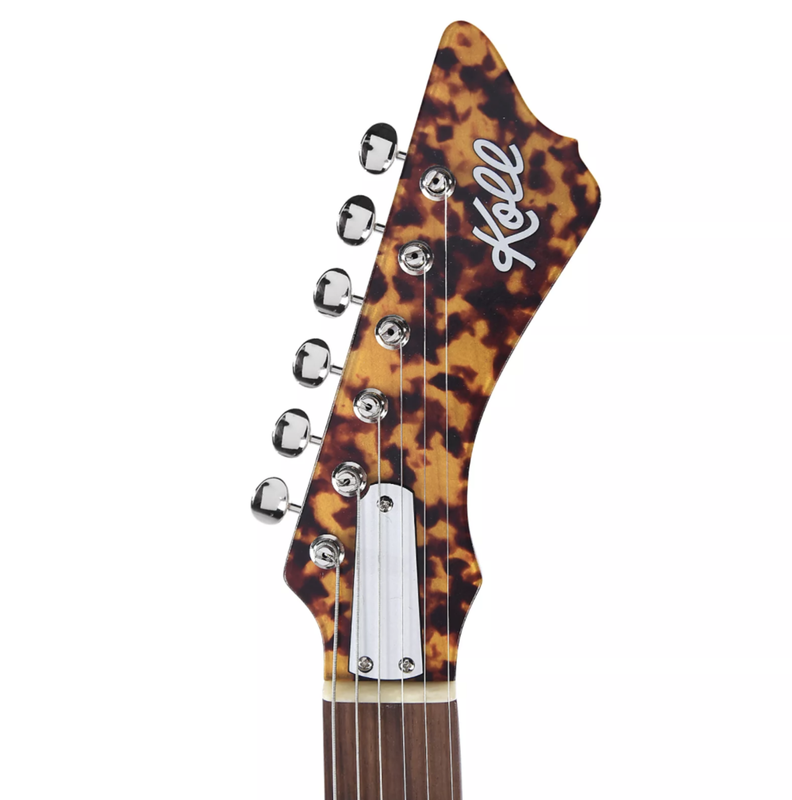 Super Cub — Koll Guitar Co.
We're really excited to unveil a new Koll model: the Super Cub! 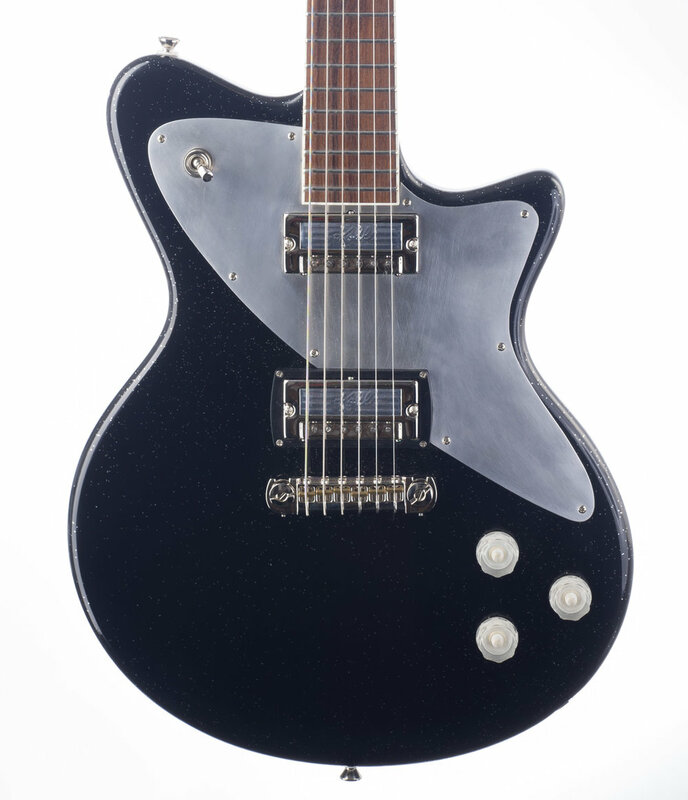 Inspired partly by '60s American guitars we love, like the Epiphone Wilshire or Harmony Bobkat or Gibson Melody Maker... the Super Cub has some aesthetic DNA from those guitars, mashed up with Saul's classic Glide shape and a new six-on-a-side headstock design. The body is thinner than our other solidbodies, and the body edge is softer. 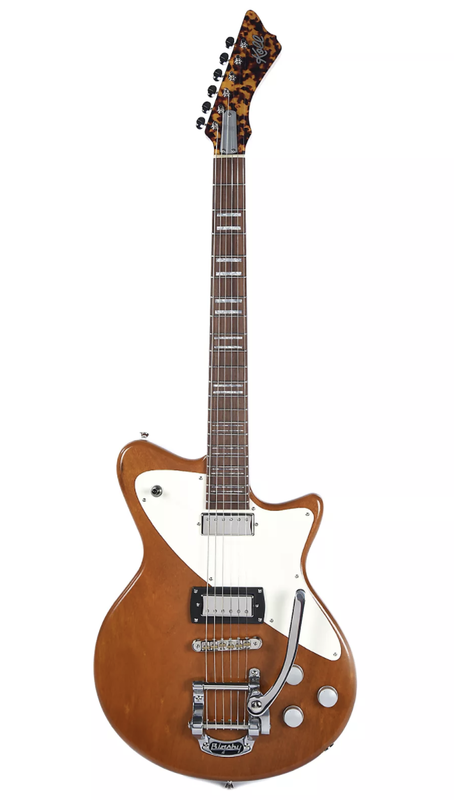 Bottom line: we wanted a thin, light guitar that's just plain fun to play. 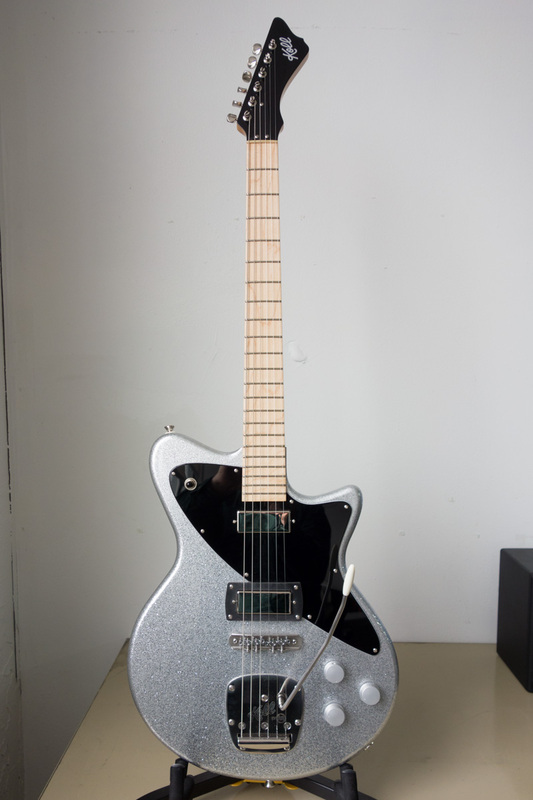 Premier Guitar just published a nice review of this new model written by Joe Gore, and put the guitar on their April 2018 cover! Give it a read. PICKUPS: One, two or three by TV Jones, Lollar, Arcane, Vintage Vibe, Curtis Novak, or others. WEIGHT: Most Super Cubs weigh in at around 6 lbs. Check our shop or our dealer network for available instruments.